A practical roadmap in three parts that applies scientific knowledge, risk analysis, experimental data, and process monitoring throughout the three phases of the process validation lifecycle. 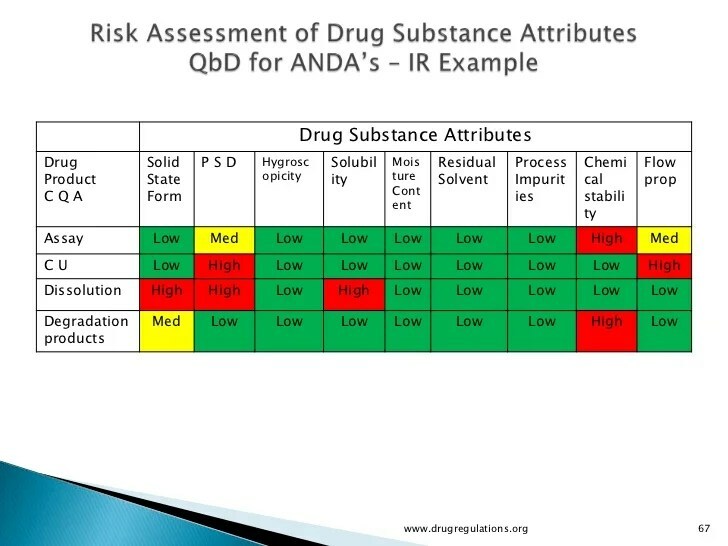 As the pharmaceutical industry tries to embrace the methodologies of quality by design (QbD) provided by the FDA’s process validation (PV) guidance (1) and International Conference on Harmonization (ICH) Q8/Q9/Q10 (2-4), many companies are challenged by the evolving concept of criticality as applied to quality attributes and process parameters. Historically, in biopharmaceutical development, criticality has been a frequently arbitrary categorization between important high-risk attributes or parameters and those that carry little or no risk. This binary designation was usually determined during early development for the purposes of regulatory filings, relying heavily on scientific judgment and limited laboratory studies. Figure 1: Process validation lifecycle. With the most recent ICH and FDA guidances endorsing a new paradigm of process validation based more on process understanding and control of parameters and less on product testing, the means of determining criticality has come under greater scrutiny. The FDA guidance points to a lifecycle approach to process validation (see Figure 1). “With a lifecycle approach to process validation that employs risk-based decision making throughout that lifecycle, the perception of criticality as a continuum rather than a binary state is more useful.” The problem is that a practical approach of determining this criticality “continuum” using risk analysis has been left to each company to develop. This article presents the first part of a practical roadmap that applies scientific knowledge, risk analysis, experimental data, and process monitoring throughout the three phases of the process validation lifecycle to first determine and then refine criticality. 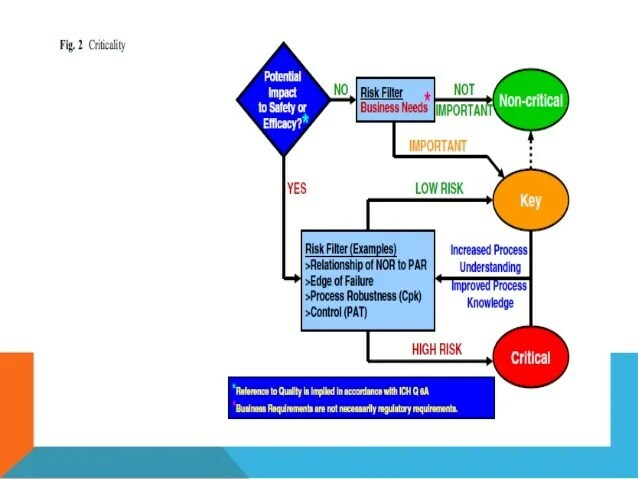 In this approach, criticality is used as a risk-based tool to drive control strategies (Stage 1), qualification protocols (Stage 2), and continued process verification (Stage 3). Overall, a clear roadmap for defining, supporting and evolving the criticality of parameters and attributes throughout the process-validation lifecycle will allow pharmaceutical companies to easily embrace the new process-validation paradigm. Furthermore, processes will be more robust and continuous improvement opportunities more easily identified. In Part I of this series, the author used risk analysis and applied the continuum of criticality to quality attributes during the process-design stage of process validation. After using process knowledge to relate the attributes to each process unit operation, the inputs and outputs of each unit operation were defined to determine process parameters and in-process controls. An initial risk assessment was then completed to determine a preliminary continuum of criticality for process parameters. In Part II, the preliminary risk levels of process parameters provided the basis of characterization studies based on design of experiments (DOE). Data from these studies were used to confirm the continuum of criticality for process parameters. In Part III, the control strategy for the process was developed from a design space established from characterization studies. As the process-qualification stage proceeds, the continuum of criticality was used to develop equipment qualification criteria and strategies for process performance qualification. Finally, in the continued-process-verification stage of process validation, criticality was used to determine the frequency of monitoring and analysis. On the surface, deciding whether an attribute or parameter is critical or not may seem clear and simple. After all, data are compared to acceptance criteria in countless decisions regarding clinical trials, experimental studies, qualifications, and product release. Either the acceptance criteria are met, or they are not. Companies that take this familiar path have tried to draw a definitive line between the “critical” and “not critical” sides. Once a decision has been made about criticality, there is no need to look again. It doesn’t help that the guidance documents for industry have been vague on where this criticality threshold lies. The FDA’s PV guidance avoids the issue: “attribute(s) … and parameter(s) … are not categorized with respect to criticality in this guidance” (1). • Critical process parameter (CPP). A process parameter whose variability has an impact on a critical quality attribute and, therefore, should be monitored or controlled to ensure the process produces the desired quality. • Critical quality attribute (CQA). A physical, chemical, biological, or microbiological property or characteristic that should be within an appropriate limit, range, or distribution to ensure the desired product quality. This interpretation of CQA is most applicable to in-process and finished-product specification limits, which suggests that these limits must be critical given that they were designed to ensure product quality. During the early stages of process development and design, other quality attributes may be measured that, over the course of development, do not end up as either in-process or finished-product tests in the commercial process. These test results may show little variation and present little to no risk to product quality. In other cases, while process duration or yield is measured, they are not related to the product quality and are, therefore, not CQAs. However, even when defined as critical, not all CQAs have equal impact on safety and effectiveness (3, 5). The definition for CPP states that a parameter is considered critical when its variability has an impact on a CQA. The amount of impact is not defined, which leads to the question, does even a small impact to a CQA mean that the parameter is critical? It is not difficult to imagine the example of an extreme shift of a process parameter having a minor impact on a CQA, whether measurable or not. Extreme temperatures can destroy many pharmaceutical products; however, if a process inherently cannot produce such temperatures, is temperature still considered to be critical and, therefore, required to be monitored and controlled? • No parameter is critical because if they are controlled, all quality attributes will pass specifications. The number of levels in the continuum is a matter of choice and the risk analysis method used. Each company must procedurally define what risk tools and risk levels it will use and consistently apply them across similar products. In the following examples, three levels of impact are used for simplicity’s sake. The different levels drive decision-making and action plans throughout the lifecycle. For CQAs, a continuum of criticality provides a tool to designate particular attributes as the most important to the protection of the patient. For CPPs, a continuum of criticality allows for process control and monitoring strategies to focus where the greatest impact on product quality is achieved. • The level of effort, formality, and documentation of the quality risk management should be commensurate with the level of the risk. Formal risk management tools such as failure mode effects analysis (FMEA) or failure mode effects and criticality analysis (FMECA) (7) can be used to provide a structured semi-quantitative summary of risk. For Stage 1, however, often a qualitative risk assessment evaluating low, medium, and high risk is sufficient to distinguish relative differences in risk. Prior to the development of a new drug, companies frequently decide and document a therapeutic need in the marketplace for a new pharmaceutical. It is through this effort that the quality and regulatory aspects of the new drug are defined such as the type of dosage form, the target dose, the in-vivo drug availability, and limit of impurities. Current guidance identifies this documentation as the quality target product profile (QTPP). 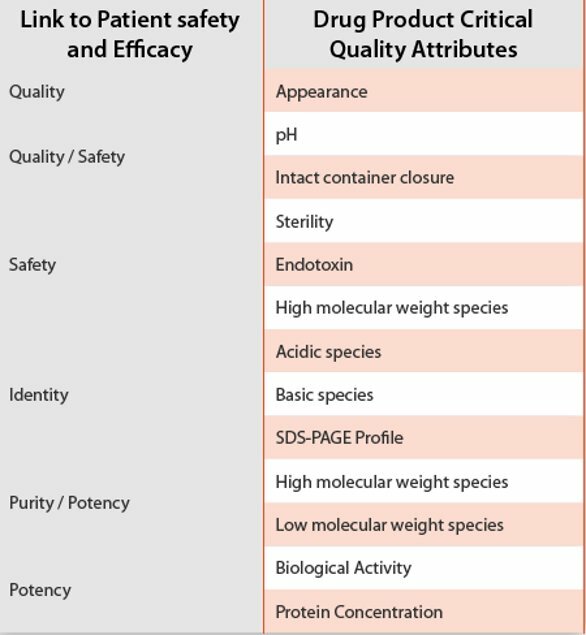 The QTPP provides the basis of the desired quality characteristics of the drug product, taking into account safety and efficacy (i.e., purity, identity, strength, and quality). The QTPP should not be confused with the drug product specification, which created later, is generally a list of specific test methods to perform and their acceptance criteria designed to ensure drug efficacy and safety. The QTPP is an input to these activities whereas the quality attributes and specifications are outputs. The initial list of quality attributes from the QTPP should be created as early as possible in the development process so that data can be collected from experimental runs. To assign the continuum of criticality to that initial list of quality attributes, knowledge of the severity of the risk of harm to the patient is paramount. This comes from prior knowledge such as early safety trials and scientific principles. Quality attributes are rated as the highest criticality level because they have a high severity of risk of harm. Severity is the primary criteria for assessing quality attribute criticality because it is unlikely to change as understanding increases over the life-cycle. For example, an impurity may be determined to severely harm the patient (high severity score) if beyond its limit. If its level does not increase in the process or on stability testing, the occurrence score is low and its overall risk to the patient may be low. However, it is still rated as high risk due to its high severity. That severity will not change and as a high-risk CQA, it has to be tested and monitored. • Low: container scratches, non-functional visual defects. For a quality attribute to be designated as “not critical,” it has to have no risk to the patient (e.g., yield, process duration). Attributes that are not critical to quality are sometimes named process performance attributes to distinguish from quality attributes. Not all CQAs are tested as part of finished-product testing. Some are tested in-process to define limits such as pH and conductivity. Although frequently designated as “in-process controls,” they are still quality attributes that should be assessed for their criticality. Consideration should be given to the relationship between in-process controls and finished-product CQAs when making this decision. While this is one example of how to assign a continuum of criticality to quality attributes, other examples are also available (8-10). Once risk levels have been assigned to the CQAs, the next activity is to begin to relate which parts of the process have impact on these attributes. This cause-and-effect analysis breaks the process into its unit operations and conveys its impact on the CQAs. An example of the cause-and-effect matrix for a biologic is given in Table I. Table I: Example of cause and effect matrix for a biologic. H = high, M = medium, L = low. In addition to the matrix, it is important to document the justification for these decisions as part of this analysis. For example, the parameters of the cation- and anion-exchange chromatography processes are expected to have a high impact on impurities because they are designed to remove impurities of different ionic charge than the desired product. With the knowledge of which unit operations have impact on particular CQAs, it is now possible to analyze each process’ inputs and outputs to determine how process parameters affect the CQAs. Each unit operation has both input and output process variables. Process parameters signify process inputs that are directly controllable and can theoretically impact CQAs. Process outputs that are not directly controllable are attributes. When the attribute ensures product quality, it is a CQA. The output of one unit operation can also be the input of the next unit operation. These parameters and attribute designations and their justification should be documented in either a formal process description document, or process flow diagram/drawing. This documentation should also include the scale of each unit operation, equipment and materials required, sampling/monitoring points, test methods, and relevant processing times and storage times/conditions. • Raw material attributes are outputs of the release of materials. Critical material attributes (CMA) should be considered along with CPPs as impacting process variability. • Fixed parameters such as equipment scale, equipment setup, pre-programmed recipes should be documented but are assessed as either low or non-critical. • Parameters for sterilization processes and cleaning process and the preparation of process intermediates can be included in the primary process assessment. Alternatively, they can be treated as independent processes with their own process parameters, quality attributes, criticality assessments, and process validation. • Calibration and standardization setting for equipment and instruments are usually not included as process parameters. • Formulation recipes can be considered fixed parameters (low or not critical); these parameters generally have relatively tight limits, which are justified during formulation development. Such a parameter, which does not vary, cannot impact process variability. An exception to this rule is the case where operators must calculate a quantity based on a variable input such as biological activity; this variable process parameter may lead to process variation. • Holding/storage times and conditions where no processing occurs should be qualified to show little to no impact on the product. These should be documented and, if these factors are included as process parameters, they are considered low or non-critical. • Environmental conditions during process (room temperature, humidity), such as holding times, are to have set limits so that they have little to no impact to the process. Process-specific environmental conditions such as cleanrooms, cold rooms, and dry rooms are included as process parameters because they are monitored to ensure product quality. When a process parameter is determined to be non-critical either by process knowledge or by process study, companies may choose to further designate the parameter as a key performance parameter if that parameter impacts a process performance attribute. Once each unit operation is related to CQAs through a cause-and-effect matrix and the process parameters and attributes are documented, an initial risk assessment to determine the potential impact of each process parameter is performed. Prior to process characterization experiments, this risk assessment may be more high level using primarily prior knowledge and scientific principles. However, a more formal FEMCA may also be considered. Table II is an example of an initial risk assessment for a single unit operation. Included in the justification is the expected relationship with CQAs and how the parameter may be influenced during scale-up. Fixed parameters are set to non-critical as they do not impact process variability. For the initial process characterization experiments, process parameters with medium to high impact will be included. Separate end of production studies have justified limit of cell age. Can affect impurities and cell viability. Knowledge from previous studies have defined acceptable range to have no impact to quality. Must be sufficient to maintain cell viability. Knowledge of medium storage from previous studies. No effect when kept within pre-established limits. Yield impact and impacts cell viability. Related to volume of feed addition. Glucose fed as needed to maintain cell viability. leading to different cell concentrations. Impacts yield by low cell growth. Controlled by rate of aeration. Scale to large scale by pre-defined model. Impacts cell growth and viability. Keep constant on scale up. Speed set by previous process experience. Scale to large scale by pre-defined models. Related to nutrient concentration for cell viability. In Part I of this series, the author looked at criticality as a continuum to apply risk analysis during process design, and to relate process unit operations to quality attributes using a cause-and-effect matrix. In Part II, the continuum of criticality for parameter and attributes will be used to design process characterization studies using DOE. From the initial risk assessment of critical parameters, experimental data from formal studies will confirm the criticality assignment—critical or not—and help to assess the level of impact to CQAs. 1. 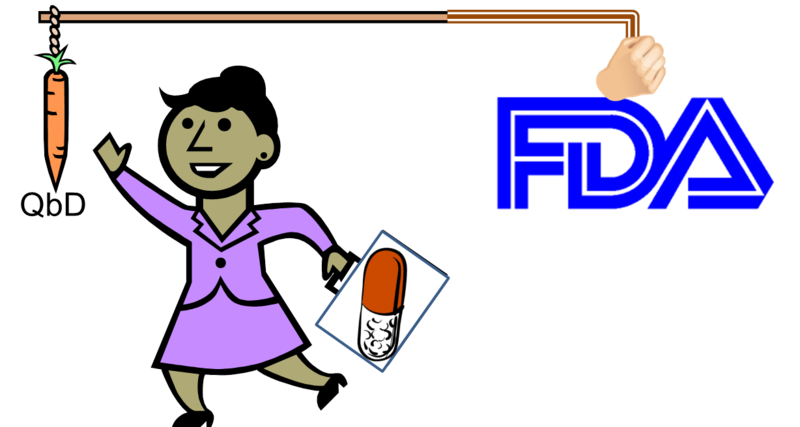 FDA, Guidance for Industry, Process Validation: General Principles and Practices, Revision 1 (Rockville, MD, January 2011). 2. ICH, Q8(R2) Harmonized Tripartite Guideline, Pharmaceutical Development, Step 4 version (August 2009). 3. ICH, Q9 Harmonized Tripartite Guideline, Quality Risk Management (June 2006). 4. ICH, Q10, Harmonized Tripartite Guideline, Pharmaceutical Quality System(April 2009). 5. ICH, ICH Quality Implementation Working Group Points to Consider (R2), ICH-Endorsed Guide for ICH Q8/Q9/Q10 Implementation (6 December 2011). 6. ISO/IEC Guide 51: Safety Aspects-Guidelines for their inclusion in standards, 2nd ed. (1999). 7. IEC 60812, Analysis Techniques for System Reliability-Procedure for Failure Mode and Effects Analysis (FMEA), Edition 2.0 (January 2006). 8. ISPE, Product Quality Lifecycle Initiative (PQLI) Good Practice Guide, Overview of Product Design, Development, and Realization: A Science- and Risk-Based Approach to Implementation (October 2010). 9. ISPE, Product Quality Lifecycle Initiative (PQLI) Good Practice Guide, Part 1-Product Realization using QbD, Concepts and Principles (2011). 10. Parenteral Drug Association, Technical Report 60, Process Validation: A Lifecycle Approach (2013). The most recent FDA (1) and International Conference on Harmonization (ICH) (2-4) guidance documents advocate a new paradigm of process validation based on process understanding and control of parameters and less on product testing. Consequently, the means of determining criticality has come under greater scrutiny. The FDA guidance points to a lifecycle approach to process validation (see Figure 1). In Part I of this series, the author introduced the concept of continuum of criticality and applied it to the concepts of critical quality attributes (CQAs) and critical process parameters (CPPs). In the initial phase, the CQAs had their criticality risk level assigned according to the severity of risk to the patient. Applying a cause-and-effect matrix approach, the potential impact of each unit operation on the final product CQAs was assessed and each unit operation was thoroughly analyzed for its directly controllable inputs and outputs. Finally, a qualitative risk analysis or a formal failure mode effects and criticality analysis (FMECA) was conducted for each of the identified process parameters. The purpose of this assessment is to provide a focus for the downstream process characterization work required to complete process validation Stage 1 (process design). • When experimental studies and commercial data are available, such as when the process validation lifecycle is applied to a legacy product to substantiate the initial assessment. In these cases, this initial assessment can be further bolstered through the addition of an uncertainty component to the traditional risk score. For example, a high-risk critical parameter with low uncertainty (due to substantial supporting data) may not require further study, but a medium-risk parameter with high uncertainty may require further experimentation to quantify the risk to product performance. The challenge facing most organizations is how to effectively evaluate the impact of potentially hundreds of process parameters on product performance to determine what is truly critical. Few companies have the time or resources to design experimental studies around all potentially critical process parameters. The initial risk assessment provides a screening tool to sort out the parameters that have low or no risk. The goal is to increase process knowledge by providing a mechanistic understanding of the relationship between process parameters, raw material attributes, and CQAs. This is defined as both the demonstration of impact and the quantification of the contribution of each parameter to the product’s performance. Through this exercise, it will be possible to identify the process design space. The ICH guidance defines three elements–knowledge space, design space, and control space–to establish a process understanding (seeFigure 2) (2). Figure 2: Knowledge, design, and control space. The design space is part of an enhanced process development approach referred to as quality by design (QbD). 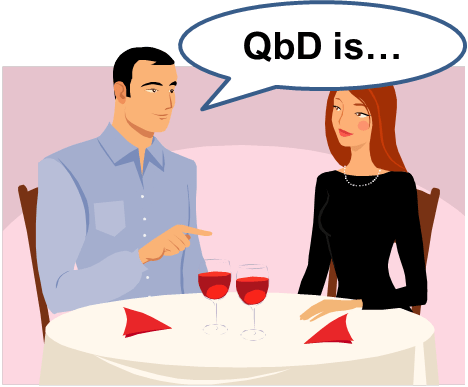 Prior to QbD, pharmaceutical development did not require the establishment of functional relationships between CPPs and CQAs. Consequently, process characterization experiments were primarily univariate (one factor at a time [OFAT]), showing that, for a given range of a process parameter (referred to as proven acceptable range or PAR), the CQAs meet acceptance criteria. While univariate experiments can provide some limited knowledge, a compilation of OFAT studies cannot typically define a design space because it cannot substantiate the importance or contribution of the parameter to the product CQA being evaluated. To do this, multivariate studies must be performed to account for the complexities of interactions when several CPPs vary across their control ranges. Design spaces can be developed for each unit operation or across several or all unit operations. Although it may be simpler to develop for each unit operation, downstream unit operations may need to be included to sample and test the appropriate CQAs. For example, to perform a multivariate study on a fermentation unit operation, additional processing through cell lysis and purification unit operations is needed so that CQAs may be sampled and tested. The challenge faced by most development programs is how to efficiently and cost-effectively derive maximum process understanding in the fewest number of studies. To do this, a staged approach using multiple studies is most efficient. • Screening (fractional factorial, Plackett-Burman). To identify or screen out process parameters that have no significant impact on a CQA. Screening designs can test main (individual impact and contribution) effects of each parameter being evaluated. • Refining (full factorial). Having dropped out parameters, which do not impact the product CQAs, the refining step tests both main effects and interactions between the remaining parameters and generates first-order (linear) relationships between process parameters and CQAs. The criticality level of a CPP is determined from the quantitative impact on the CQA shown in the modeled relationship. • Optimization (central composite, Box-Behnken). To generate response surfaces and illustrate second-order (quadratic) relationships between process parameters and CQA. This analysis allows optimal set points for the design space or control space to be identified to target desired CQA (or performance attributes) values. The DOE design assists in determining which parameters are studied and what set point value is used for each experimental run. The initial risk assessment, using prior knowledge and scientific principles, provides an expected relationship as to which CQAs and their related in-process controls will be affected by the given process parameters. Although the focus is on quality impact, process performance attributes (no quality impact) should also be sampled and measured as appropriate. This step is especially important during the optimization stage because a trade-off may be required in terms of optimizing quality and performance attributes. For process validation Stage 1 process characterization studies, analytical methods for measuring CQAs may not yet be fully validated, but still, must be scientifically sound. The level of accuracy and precision of the analytical method or measurement system must be well understood because they directly impact the quantitative decision process when interpreting study results early in the process-design stage. Techniques of measurement system analysis such as Gage repeatability and reproducibility (Gage R&R) studies are recommended because they provide information on the variability of the measurement system. The Gage R&R study provides a quantitative measurement of the measurement tools contribution to variation for any measurement made. Typically, a percent contribution from R&R variability must be < 20% and demonstrate at least five distinct categories for the method result to be meaningful. The distinct categories are the number of discernable groups of measurements that can reliably span the range of the CQA. Including replicate runs in addition to the study experimental design provides crucial data for estimating the underlying variability of the study. This is because, during each run, small unmeasured and uncontrolled variations always occur and may influence the result. Two otherwise identically configured runs may produce slightly different responses due to changes in environment, equipment, measurement, sampling, and operators, among others. Even deliberately fixed parameters (those not under study) may not be exactly identical from run to run. Together, these are called “noise” factors and are important in discerning true responses (i.e., “signal”) caused by the changing parameters from the inherent variability. Differences between sets of replicate runs allow for the quantification of this variability. Large changes in the responses between replicates may indicate either an unstable experimental platform (such as poor run-to-run control) or that a low-risk CPP or non-CPP, may have a higher impact on the CQAs than originally assessed. Where a raw material has a critical material attribute (CMA) of medium-risk to high-risk impact to CQAs, it should be included as a parameter of the study where possible. Multiple lots or lots with extreme variation in CMAs may not always be available during early development or characterization studies. This limitation frequently is one of the primary drivers of establishing the continuous process verification (CPV) program in Stage 3 to monitor the future impact from this raw material variation. For large studies, multiple lots of raw materials may be required. Consideration should be given to either proportional mixing of the raw material lots for each run or use of a statistical technique called blocking, which incorporates change of material lots into the experimental design. In each design, the choice must not only be made on the number of parameters to be studied, but at how many levels (i.e., set points within the range) and how many times a particular set of conditions is repeated (replication). The number of levels is related to the mathematical relationship between the parameters and the CQA measured (e.g., two levels for linear or three for quadratic). For screening designs, it is typical to use only two levels (minimum and maximum of the range); for these designs, any known non-linear relationship may have to be mathematically transformed. For refining design, center points (midpoint of ranges for all parameters) are added to estimate variability and to detect potential curvature. 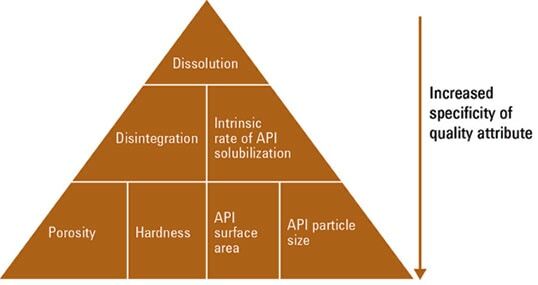 Because of the cost involved or availability of API, it is not possible to perform all experimental studies at commercial scale (such as with fermentors of 5000 to 25,000 L), hence, most biotech process development programs rely heavily on modeling the process at smaller or intermediate scale. Some process parameters may be independent of the scale or may have simple models to account for scale changes. Scale itself may be considered a parameter. Establishing similar run conditions at multiple scales is an important consideration when trying to qualify the comparability between full-scale and small-scale experiments. Substantial prior experience with scaling particular unit operations may provide key information such as dimensionless parameter groups and scaling equations. • Location of instrument sensors and control-loop tuning parameters. The advantage of a screening design is that it can handle a fairly large number of parameters in the fewest number of runs. The disadvantage is that the interaction effect of each CPP on a CQA cannot be directly determined because the experimental parameters are confounded. Confounding refers to a scientific state where there is insufficient resolution in the experiment to resolve the interaction effects from the main contributions of each parameter studied. However, at the screening stage, the objective is to eliminate as many parameters from the potential list of CPPs as possible so that the true process design space can be determined in the refining studies. At this stage, the criticality of parameters has not yet been verified and parameter control ranges (proven acceptable range) have not yet been determined. Although it is usually the goal to meet the CQAs’ acceptance criteria to ensure product quality, the purpose here is to show how the process responds to the parameters even if the CQAs may not meet their criteria. Figure 3: Screening design of experiment (DOE) Pareto of parameters for critical quality attribute (CQA) (aggregates). Temp is temperature; Osm is osmolality; Med conc is medium concentration; Inoc conc is inoculum concentration; DO is dissolved oxygen. Figure 3 is an example output chart from a screening study. This Pareto chart shows the standardized effect or relative impact, for each of eight process parameters on a CQA. A reference line at 2.45 is the threshold below which the parameter’s effect is not statistically significant for this study (p-value > alpha of 0.05). In this example, six of the parameters may be screened out of further studies, provided they do not produce significant effects for other CQAs. A similar approach can be used for process performance attributes (non-CQAs) to evaluate parameters that impact process performance, but not quality; these non-critical parameters are frequently called key parameters. If these investigations had been conducted as OFAT studies, it would be impossible to quantitatively determine which parameter had an impact on the product’s CQA and to what extent. Through the use of a DOE, it is possible to measure both and define the level of variation explained by the parameters evaluated based upon the data observed. Once the screening DOE has been completed, parameters that have not shown strong responses to any of the CQAs are now kept constant or well controlled to reduce the number of parameters for refining studies. By employing a full factorial design, all main effects and interactions are separated with regard to the CQA responses; there is no confounding in a full-factorial design. Center-point conditions (runs at the midpoints of all parameter ranges) are recommended because they can be used to detect if significant curvature (non-linear relationship) exists in the response to the parameter and they provide replication to determine the inherent variability in the study. Figure 4: Refining design of experiment (DOE) Pareto of parameters and interactions for critical quality attribute (CQA) (impurities). Figure 4 is an example output chart from a four-parameter, full-factorial study. The Pareto chart shows a threshold line. Two parameters and one two-factor interaction are statistically significant for this CQA. All parameters and interactions below this threshold are not statistically significant and their effects have no more impact than the inherent run-to-run variation. Figure 5: Refining design of experiment (DOE) Pareto of parameters, reduced model, for critical quality attribute (CQA) (impurities). DO is dissolved oxygen. α, β, γ, and δ are the coefficients generated by the DOE analysis for each parameter or interaction. Positively signed coefficients indicate the CQA increases with an increase of the parameter; negatively signed coefficients indicate the CQA decreases with an increase of the parameter. The model equation is a regression, or best fit, from the data for the experiment, and therefore, is valid for the specific scale conditions of the experiment including the ranges of the parameters tested. Models are tested for their “goodness of fit” or how well the model represents the data. The simplest of these tests is the coefficient of determination, or R-squared. Low R-squared values (such as below 50%) indicate models with low predictive capability, that is, the parameters evaluated across the defined range do not explain the variation seen in the data. This model only represents what would be expected on average for this CQA from the unit operation(s) tested in the study. Even so, the model is a fit to the most likely mean. Recognizing that any model has uncertainty, the model can also be represented with a confidence interval (e.g., 95%) around that mean. Individual runs will also show day-to-day variation around that mean. A single-run value for the attribute cannot be predicted, but a range in which that value will likely fall can be predicted. This range for the single-run value is called the prediction interval (e.g., 95%) for the model. Empirical models such as these are only as good as the data and conditions from which they are generated and are mere approximations of the real world. Despite the limitation, these empirical models relate not only what parameters have a statistical impact on a CQA, but also the relative amount of that impact. The range through which the parameter is tested in the study has an important relationship to the model generated. For example, perhaps the parameter temperature was initially assigned as high risk. If temperature is only tested through a tight range, the parameter may have little to no impact to CQAs in the study; its effect may be no greater than the inherent variability. If temperature is not statistically significant for the range studied (i.e., its PAR), it is designated as a non-CPP, but only for that PAR. If the temperature should ever move outside the studied PAR, there is a potential risk that it could have a quality impact become critical. 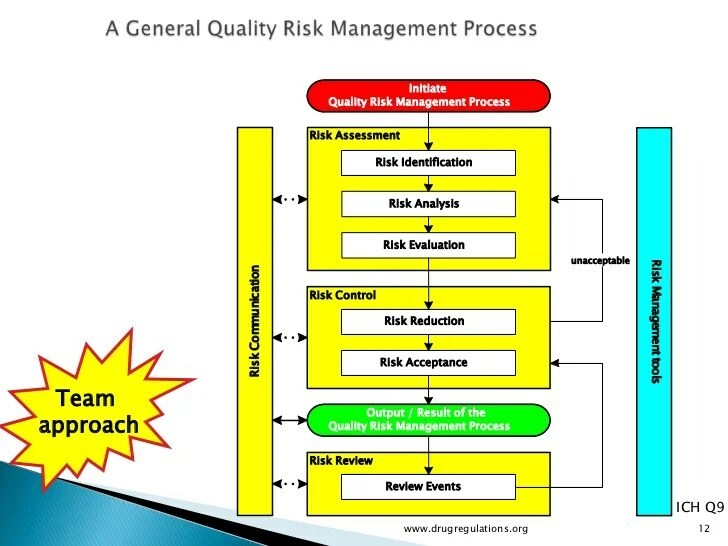 Some organization quality groups rely on the original risk assessment of the process parameter. If this parameter’s severity was initially rated high, this parameter can remain designated as critical but should be designated as a low-risk CPP as long as the parameter is in its PAR. Parameters outside the PAR would be considered outside the allowable limits for that process step because there has been no study of the parameter outside of this range. If curvature is detected during earlier DOE stages, or if the optimization of any CQA or process performance attribute is needed, then response-surface experimental designs are used. These designs allow for more complex model equations for a CQA (or performance attributes). Two of the simpler response-surface designs are the central composite and Box-Behnken. Both designs can supplement existing full-factorial data. The central-composite design also extends the range of parameter beyond the original limits of the factorial design. The Box-Behnken design is used when extending the limits is not feasible. The empirical models are refined from these studies by adding higher-order terms (e.g., quadratic, polynomial). Even if these higher-order terms are not significant, adding more levels within the parameter ranges will improve the linear model. Because most empirical models are developed with small-scale experiments, the models must be verified on larger scale and potentially adjusted. Applying the knowledge of scale-dependent and scale-independent parameters while developing earlier DOE designs reduces risk when scaling-up to larger pilot-scale and finally full-scale processes. The models from small-scale studies predict which parameters present the highest impact (risk) to CQAs. Priority should be given in the study design to those high-risk parameters, especially if they are scale-dependent. Since the empirical models only predict the most likely average response for a CQA, several runs at different parameter settings (e.g., minimum, maximum, center point) are required to see if the small-scale model can still apply to the large-scale process. Statistical significance is an important designation in assessing the impact of changes in parameters on CQA. It provides a mathematical threshold of where the effects vanish into the noise of process variability. Parameters that are not significant are screened out from further study and excluded from empirical models. A CQA may be affected by critical parameters in several different unit operations (see the Cause-and-Effect Matrix in Part 1 of this article ). Characterization study plans may not be able to integrate different unit operations into the same DOE study. Consequently, several model equations may exist for a single CQA; each model is composed of parameters from different unit operation. The relative effect of each parameter on the CQA can be calculated from these models using the span of the PAR for each parameter. The relative impact of each parameter on the CQA is based on the range of its acceptance criteria. Sorting each parameter from highest to lowest, the criticality of each parameter can be assigned from high to low.Table I is an example of one method for assigning the continuum of criticality. • Update initial risk assessment for parameters. CQA is critical quality attribute; PAR is proven acceptable range; DOE is design of experiment. As process validation Stage 2 (process qualification) begins, criticality is applied to develop acceptance criteria for equipment qualification and process performance qualification. Finally, in process validation Stage 3 (continued process verification), criticality determines what parameters and attributes are monitored and trended. In the third and final part of this article, the author applies the continuum of criticality for parameters and attributes to develop the process control strategy and study its influence on the process qualification and continued process verification stages of process validation. 5. M. Mitchell, BioPharm International 26 (12) 38-47 (2013). Mark Mitchell is principal engineer at Pharmatech Associates. With the most recent FDA (1) and Inter-national Conference on Har-monization (ICH) guidances (2-4) advocating a new paradigm of process validation based on process understanding and control of parameters and less on product testing, the means of determining criticality has come under greater scrutiny. The FDA guidance points to a lifecycle approach to process validation (see Figure 1). In Part I, the author used risk analysis and applied the continuum of criticality to quality attributes during the process design stage of process validation. After using process knowledge to relate the attributes to each process unit operation, the inputs and outputs of each unit operation were defined to determine process parameters and in-process controls. An initial risk assessment was then completed to determine a preliminary continuum of criticality for process parameters. In Part II, the preliminary risk levels of process parameters provided the basis of characterization studies based on design of experiments. Data from these studies were used to confirm the continuum of criticality for process parameters. At this point in the process development stage, the design space has been determined. It may not be rectangular (if there are higher-order terms in the models) and may not include the entire proven acceptable range (PAR) for each critical process parameter (CPP). In fact, the design space is not defined by the combination of the PARs for each CPP, given that the full PAR for one CPP ensures the quality of the critical quality attribute (CQA) only when all other CPPs do not vary. The design space represents all combinations of CPP set points for which the CQA meets acceptance criteria. Overall, the design space developed from process characterization study models represents a level of process understanding. Like all models, however, the design space is only as good as the data that drives the analysis. The CQAs, on average, may meet acceptance criteria, but individual lots–and samples within lots–are at risk of failure when operating at the limits of the design space. For this reason, the operational limits for the CPPs are frequently tighter than the design space. This tighter space is the last part of the ICH Q8 paradigm (2) (see Figure 2) and is called the control space, which equates to normal operating range (NOR) limits for each CPP. At the conclusion of the process characterization studies, the design space describes each CQA as a function of process parameters of various levels of risk, or continuum of criticality. Additionally, these models have been confirmed, by experiment or prior knowledge, to adequately represent the full-scale manufacturing process. This classical multivariate approach combines impact from each CPP to predict the response of the CQA as each CPP moves through its PAR. These mathematical expressions can be represented graphically as either contour or 3-D response surface plots. Even this view of the design space is too simplistic. To ensure a process has a statistically high probability (e.g., > 95%) that a CQA will reliably meet the acceptance criteria for a combination of CPP requires a more involved computational analysis. This analysis may lead to revising CPP set points and ranges. Several computational statistical methods are available for analysis of process reliability. Each of these requires specialized statistical software. • Monte Carlo Simulation inputs CPPs as probability distributions to the design space models and iterates to produce the CQA as a probability distribution. Capability analysis can be applied to the CQA’s acceptance criteria. This method is limited by the estimations of the CPP distributions from process characterization studies, which will not necessarily represent the same level of inherent variation as the commercial process. Using sensitivity analysis on these estimated distributions may enhance this approach. • Predictive Bayesian Reliability (5) incorporates the CPPs, uncontrolled variables such as raw material and environmental conditions, inherent common cause variability, and variation due to unknown model parameters, to determine a design space with high reliability of meeting the CQAs. Design space models often become a series of complex, multifactor equations, which are not suitable for describing the required ranges for each CPP in a production batch record. Contained within the design space, the control space consists a suitable NOR for each parameter. Table I provides some example methods for developing the NORs and the control space together with their advantages and disadvantages. Option 1 is included only since it represents a historical approach broadly employed in NOR establishment. This approach is not consistent with the current quality-by-design (QbD) approach to process validation and will not be sufficient to defend a final NOR establishment. Issues with Option 2 have been discussed previously. Of these three options the reliability approach (Option 3) is the most robust, but requires sophisticated statistical skills. This option may be reserved for only very high risk CPPs. Table I: Example methods for determining a normal operating range (NOR) for a critical process parameter (CPP). CQA is critical quality attribute, PAR is proven acceptable range, QbD is quality by design. Option 4 is based on a “safety margin” that may be determined in a variety of ways. One choice is to measure how much an actual parameter will vary around its set point. For example, if a temperature set point is 30.0 °C, it may be observed to vary from 29.5 °C to 30.5 °C (± 0.5 °C). The safety margin of 0.5 °C is applied to narrow the CPP limit from the design space. Therefore, if the design space is 25.0 °C to 35.0 °C, the NOR becomes 25.5 °C to 34.5 °C. Additional factors, such as calibration error, can be added to provide a wider safety factor. Option 5 is the narrowest method applied for determining the NOR. Here, the ability to control the parameter determines its range. For example, a pH set point of 7.0 may have a design space of 6.5 to 7.5. However, if the control of the pH is shown to be ± 0.2, then the NOR is 6.8 to 7.2. The primary disadvantage of such a narrow range is that even if the CPP’s NOR is exceeded, the CQA may not move outside of its acceptance range. Option 5 is suitable for setting the NOR of non-CPPs since the CQAs are not affected. For example, a mixing set point of 200 rpm is a non-CPP. If the mixer’s control is qualified for ± 20 rpm, then the NOR is 180-220 rpm. Control strategy: A planned set of controls, derived from current product and process understanding, that assures process performance and product quality. The controls can include parameters and attributes related to drug substance and drug product materials and components, facility and equipment operating conditions, in-process controls, finished product specifications, and the associated methods and frequency of monitoring and control (4). • Key operating parameters (KOPs) and performance attributes (all non-critical), which are used to monitor process performance, set points, and ranges. Reblogged this on New Drug Approvals. A man from Bombay, who lives in Bangalore, and writes about India. Assistant Professor, Department of Pharmaceutical Analysis, Institute of Pharmacy, Nirma University. What's going on in Organic Chemistry Lab? Highlights and comments on past and present literature and many other things. Bringing the world of flow synthesis under one roof!